Imagine Inflatables have been manufacturing inflatables since 2001. As a small family run company we can be flexible in how we approach your company’s promotional requirements. From a simple retail launch event to World Wide Live Events, Imagine’s logistical and event management team can make your inflatable promotion get the message across instantly to a crowd or audience on TV. Inflatables are fun and Imagine can convey this emotion into inflatable works of art or simply impressive giant characters, shapes or structures. Our aim is to provide the highest quality inflatables but also with excellent customer service. We are situated centrally in England ideal to most urban locations within England in two hours or less. Imagine has its own factory premises with 9000 sq ft yard area to enable us to demonstrate and test inflatables for clients. We have our own fully catered conference suite, which allows clients to use these facilities for project meetings and logistical discussions and team training. We thought we'd give you this opportunity to meet our team who have all played their part in making Imagine Inflatables what it is today. Dominic Proietti Tocca BA Hons, Master of Arts. Dominic has been in the industry for over 16 years, and has created the only one stop shop company for all your inflatable needs. He has worked in design packaging, clothing design and sales and now heads the UK’s largest Promotional Inflatables company. Louise Proietti Tocca BA Hons. Louise gained distinctions in languages and business studies at University, and has worked for over eight years in international market research. She now helps Dominic run the busy office, specialising in personnel, accounts and account management. 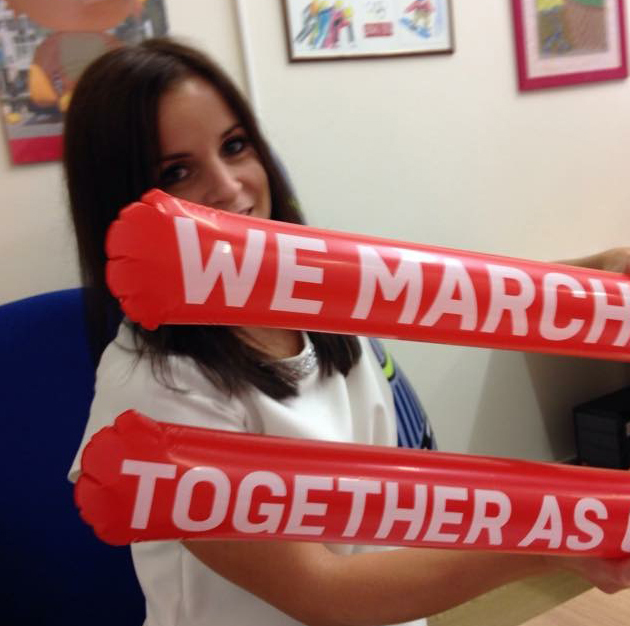 Stacey is in charge of our Point of Sale department and any inflatable bespoke shape or product replica. She is a lively addition to our team and has a great energy which drives projects through from initial enquiry to delivery. She is well versed in Office Management and accounts and while running her own projects, she is also involved in supporting Louise Tocca the Company Director in the finance department. Joe manages warehousing, repairs, inspections and also installations. His fast pace and willingness help make him a valuable and trustworthy asset to our logistics team. 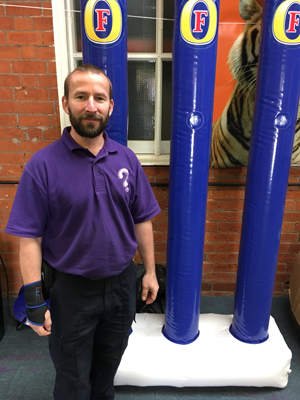 Radek is our newest operative, with a background in joinery he has a good technical understanding of how the inflatables are made and installed which is a great value to the imagine team. Nick has over twenty years in promotional graphic design, and is a specialist in designing visuals for clients and technical drawings for the manufacture of inflatables. 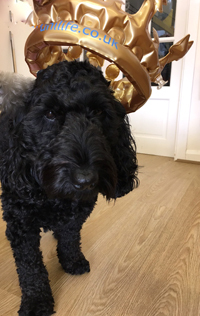 Frank is our office dog, he provides general good office moral and loves throwing a beach ball around the office and mooching around. Imagine Inflatables is a member of Sedex, the Supplier Ethical Data Exchange. Sedex provides member companies with a secure web-based platform for storing and sharing information on four key pillars: Health and Safety, Labour Standards, Business Ethics and The Environment. Sedex is not a standard setting body and doesn't approve or certify our policies and standards. Instead, becoming a member of Sedex is a sign of Imagine’s willingness to share information and to utilise this information to help manage and improve ethical standards within the supply chain.